Music is mind-changing. Literally. It affects your brain more than you realize. To prove my point, here are five amazing facts about music and the brain. Prepare to get your mind blown. So, even if you don’t realize it, the music Apple used in their latest commercial could subconsciously be making you more likely to buy the product. And if you’re a musician who makes music for TV and film, you may already know how much thought and time is put into making and choosing the perfect song for a commercial. “…Advertising music is perhaps the most meticulously crafted and most fretted-about music in history,” the study says. “Nationally produced television advertisements, in particular, may be considered among the most highly polished cultural artifacts ever created.” So, yeah, companies sort of control your brain with music. If you want to get a release of dopamine and oxytocin in your brain, turn on a song you love. According to The New York Times, the “reward” part of the brain lights up when you hear music. They say “the idea that reward is partly related to anticipation (or the prediction of a desired outcome)” is a fact in neuroscience. So when you listen to a song, your brain is trying to figure out what’s going to happen next without you realizing it. Then, whether or not your brain predicts correctly, it rewards itself with a shot of good-feeling chemicals. That’s why anticipation is a great tool to use in your song. It’s the thing that gets you high on music. There’s a thing called music therapy where licensed professionals help people with brain damage, heart problems, or with many different physical issues through the power of music. It’s especially useful for people who have trouble speaking or comprehending language, whether because of a stroke or some other brain injury. Therapists use a style of singing with certain rhythms that can help bring back the cadence of speech. The right side of the brain processes music while the left side processes language, so music therapy can help bridge the gap between the two. Music helps create new neurological pathways. According to Harvard Medical School, patients with speech problems are “capable of singing words that they cannot speak.” And that’s why using “melody and rhythm has long been recommended for improving” speech and language comprehension in patients. How did you learn the alphabet? Probably by learning the song. At some point, you probably learned every state in the US, right? It was probably thanks to a song. One reason for this is that the part of the brain that processes music is the same part of the brain that creates and stores memories, states Key Changes Therapy Services. So when you hear a song you know, it’s often attached to a memory. That’s because of the dopamine release we get when we hear a song we like. So your brain makes a positive connection between a song and a memory. Then your brain can more easily recall memories or things you’ve learned. 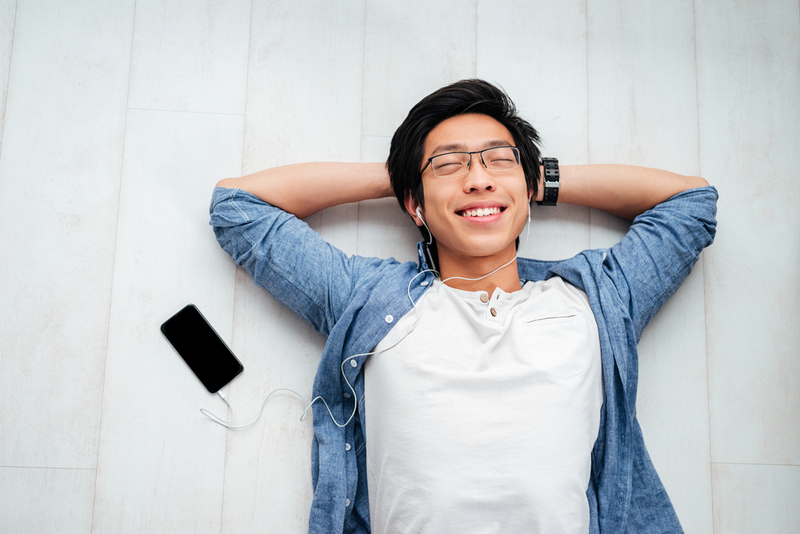 We already know how music can help us be less stressed. Surely we’ve all experienced this regardless of your preferred genre. Listening to music helps reduce the release and production of cortisol, which is called “the stress hormone.” Less cortisol means better learning capability and memory, lower blood pressure, heart rate and cholesterol, and a less likely chance of heart disease. So you should stop reading this post right now and go listen to some music you love.